The Federal Reserve or the Fed is what it is today because of a number of laws. It all begins with the banking act of 1935, that is before the constitution of the Federal bank. The employment act of 1946 made some changes to the bank but not as significant as the other laws. The Federal Reserve-Treasury Department Accord of 1951 brought together the bank and the Treasury to reconcile. Bank Holding Company Act of 1956 and the amendments of 1970 resulted to significant changes on how the bank operated and it opened the way for the Federal Reserve Reform Act of 1977. The International Banking Act of 1978, the Depository Institutions Deregulation and Monetary Control Act (1980), and the Financial Institutions Reform, Recovery and Enforcement Act of 1989 were all measures to stabilize the bank as an institution. Other notable laws that makes the bank what it is are Deposit and Insurance Corporation Improvement Act of 1991 and the Gramm-Leach-Bliley Act (1999). Prior to the establishment the current Federal Reserve , there were two other central banking systems in the United States. The Federal Reserve or Fed is the third central bank in the history of The United States. 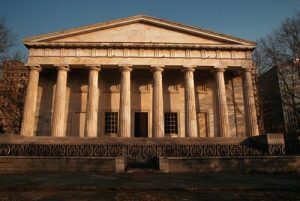 Between 1791 and 1811, there was the First bank of the United States, which was succeeded by the Second Bank of the United States in 1817 to 1836. Each of the banks operated on a 20-year charter. The charter allowed them to issue currency, make commercial loans, accept deposits, maintain many branches, purchase securities and they also acted as the agents for the United States treasury. Due to the nature of their operations, they were observed by other banks as competitors. The second national banks charter was not renewed in 1837 as President Andrews Jackson’s second term ended. In 1863 as the country needed finance to support the civil war, a system of national banks came together under the National currency act. Each of the banks were awarded the mandate to issue standardized national bank note. However, they would only offer the notes based on the bonds that they held. In 1864, the Act was amended to become the National Bank Act or the National Banking Act. The office of the comptroller of the currency was created and through the chief administrator comptroller of the currency, the office was able to control the issuing of currency. The office of the comptroller of currency has never been dissolved. It still exists to date. However, its mandate has changed a little. The office has the exclusive role of examining and supervising all the chartered banks in the nation. It is under the US Treasury department. However, part of the amendment to the act required that taxation be levied on state bank notes but not on the national bank notes. State banks flourished despite the taxation due to the growing levels of deposits, which became popular during the free banking era when there was no legislation. Even after the establishment of the National banking Act in 1863, there were still some measures of the stability of the currency that were not addressed. The economy was plagued by bank runs and financial panics. Clearly, the Act did not offer the solution to a stable banking sector. In 1893, the country faced an event that shaped its financial orientation. The country suffered an economic depression. It was the worst depression in the history of the United States. It had to take the intervention of J.P. Morgan to stabilize the economy. This was a pointer that there is need for more intervention by the government to stabilize the financial system. 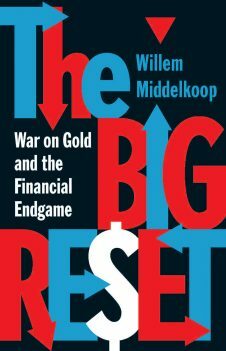 The source of the depression was a bout of speculations on the Wall Street that ended in failure. By the time this was happening, there were calls for the review of the banking system by most Americans. There were two divides into the discussions. The conservatives who had the power and money trusts opposed the changes while the other groups noted the need for a central banking system that would have the role of controlling the financial system. It was also necessary that the body would provide an elastic currency that would not collapse. The term decentralized Central bank I confusing. However, there was need for an impartial body that would address all the financial issues that challenged the system. Between 1908 and 1912, the man on focus was Aldrich Vreeland who came up with the Aldrich Vreeland Act of 1908. The act provided for emergency money issuing during currency crises. The act was also central in the formation of the national monetary commission that would do a search for a sustainable solution to the country’s unstable banking system and the financial problems that ailed it. Senator Nelson Aldrich headed the commission. The commission came up with a banker-controlled plan. The plan was fiercely attacked by some quarters including the likes of William Jennings as they suggested a central bank that was under the republic of the US and not one that is banker controlled. The plan did not see the light of the day but the stage was set for the revival of a central bank. 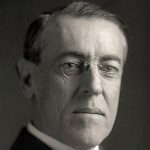 President Woodrow Wilson just came in as president and he acknowledged the need for a change and he and a team of professionals labored to the Federal act proposal in December 2012. The System of Federal Reserve was conceived in December 2012 and born a year later on December 23, 1913 when the act was signed into law. The act came out as a compromise trying to take the advantages of a centralized system without its disadvantages. The necessary foundation for the system was set by a committee made up of Treasury Secretary William McAdoo, David Houston from Agriculture and John Skelton the then Comptroller of currency. By November 16, 1914, the banks were open in 12 cities. At the same time, the First World War began. The war began in mid-1914 while the changes were still being made. The US helped in the flow of trade good to Europe and in financing the war indirectly. Then the US declared war on Germany in 1917 and finance became an issue. 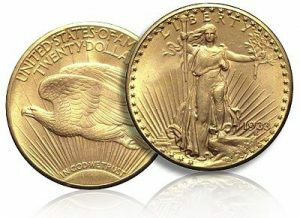 In the 1920s as the world was regaining to normalcy, it was recognized that gold was no longer a central factor in credit control. The open market influence on the availability of credit in the banks was more visible during these times. 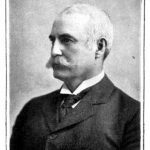 At this time, Benjamin Strong was the head of Fed Bank. He managed to elevate the level of the bank by promoting its relations to other bands in the world such as the bank of England. Between 1929 and 1933 the ghost of the uncertainty of the market reemerged. It all began with Virginia Representative Carter Glass warning that the stock market would clash. His prediction came to pass as from 1930 to 1933, there was an economic collapse and the United States experience the greatest economic depression in its history. Roosevelt the then president declared a bank holiday as attempts to repair the economy ensued. The Fed Reserve which was purposely constituted to prevent these events was blamed for its inability to foresee the economic tragedy. 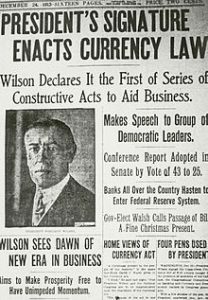 The Banking Act of 1933 came as a reaction to the great depression. The Act called for the separation of commercial and investment banking. The act also provided the government securities would be provided as collateral for the Fed Reserve notes. The Act went ahead and established what is known as the Federal Deposits Insurance Corporation (FDIC). The body acted as an insurer. The act also placed the open market operations to be under the Fed Reserve. All gold and silver certificates were recalled. In 1935, the banking Act made some changes of the Fed Reserve structure. The Federal Open Market Committee (FOMC) was formed to be separate from treasury. The Banking Holding Act named the Fed as the regulator of bank holding companies in 1956 and the Fed Reserve chairman reported to the congress directly through the 1978 Humphrey-Hawking’s Act. As the US entered the World War II in 1942, the syetem of Federal Reserve bank committed low interest rates on Government bonds. The government would thus engage in cheaper debts. The system was however to give up part of its portfolio including money stock. What ensured was conflict between the Fed Reserve and the Treasury. The president and his secretary were both inn support of the low interest. The Treasury Fed accord was the solution to the disagreement between the two entities. The obligation imposed on Federal Reserve Bank to monetize the debt off the treasury was eliminated at a fixed interest rate and that marked the beginning of the independence of the central banking and policies that Federal Reserve Bank employs up to date. In the 1970s cases of inflation and deflation were prominent in the United States. The prices of consumer goods rose as oil prices soared. These economic trends pushed the federal deficit to be higher and even doubled. 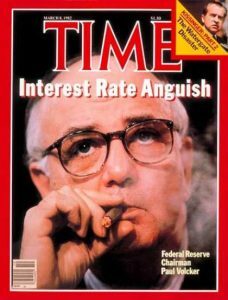 Paul Volcker who stepped in as the Fed Reserve managed to calm things down in a painful but necessary measure. There was need for the Fed Reserve to be as competitive as the private sector. 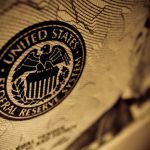 The Monetary Control Act of 1980 put this measure in a way that required the Fed Reserve to price its financial services in a way that it competes with the private sectors. These reforms marked the beginning of modern banking reforms. The Gramm Leach Bliley Act of 1999 was passed to see a new dawn in the ways of doing banking business in the United States. These events marked what has been described as the longest economic expansion of the 1990s. It all began with Allan Greenspan taking office as the Fed Reserve Chairman. 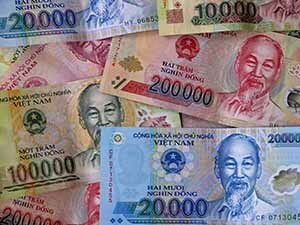 A number of changes including the monetary policies were made. The period recorded the longest peacetime economic expansion in the history of the United States. Then came the terror attack in 2001. The 9/11 attack resulted to the Fed Reserve lowering the interest rates and giving out loans of up to $45 billion. The discount window was closed in January 2003. 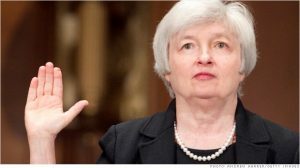 Between 200 and 2003, the Federal Reserve reduced its interest rates 13 times from a high of 6.25% to 1.% so tthat the recession that plagued the country would be reduced. Ben Bernanke took over the Fed Reserve in February 2006. In March the same year, the Federal Reserve stopped making the M3 numbers public because the cost of getting data was more than the benefits. Of course, this was what the “official” story is, in my opinion, they just wanted to hide a large amount of the real debt to the public. Some people like John Williams of shadowstats has posted what could be considered a 90-99% accurate M3. It’s reconstructed with the latest publicly available data from the Fed. The country was on a down spin. The Fed Reserve supported the housing market by ordering the purchase of $1.25 trillion mortgage backed securities that were guaranteed by agencies such as Freddie Mac and Fannie Mae. It also ordered the purchase $175 billion of mortgage agency long-term debt. We later had quantitative easing in amounts of up to $70 billion per month, which ceased around December of 2014. December 23, 2014, Federal Reserve Board announces appraisals for Higher-Priced Mortgage Loans exemption threshold adjustment. December 18, 2014, Federal Reserve Board announces banking entities have until July 21, 2016, to conform investments in and relationships with covered funds and foreign funds that were in place prior to December 31, 2013. December 16, 2014, Agencies announce rules to reflect ISDA protocol in regulatory capital and liquidity coverage ratio rules. November 20, 2014 Federal Reserve Board announces two separate reviews are underway regarding examinations of large banking organizations. November 13, 2014 Federal Reserve Board announces annual indexing of reserve requirement exemption amount and of low reserve tranche for 2015. October 17, 2014 Federal Reserve Board issues final rule to modify regulations for capital planning and stress testing and released instructions for 2015 capital planning cycle. February 2014 Fed Reserve Board announces 30-day comment period extension for proposed rule-making regarding physical commodity activities conducted by financial holding companies. many other policy changes such as expanding the banks that are allowed to trade with the bank have been made in 2014. It has also terminated enforcement action for some financial institutions. Today the bank is headed by Janet L. Yellen as the Chairperson and Stanley Fischer as her Vice. It is the regional bank of the federal reserve system and the central banking system of the United States. The Banks are still twelve as they were in the early days. They are the Federal Reserve banks of Atlanta, Boston, Chicago, Cleveland, Dallas, Kansas City, Minneapolis, New York, Philadelphia, Richmond, San Francisco, and St. Louis. Other than the critics who claim that neither the Federal Reserve nor the IMF know anything about the global currency reset, it is still important to remember who prints the money here in the United States. Regardless of what happens with the United States Dollar, you can be assured that if, or rather, when we have another financial crisis, the Federal Reserve will be there to inject liquidity into the system. We can’t be certain who will be in charge at that time, however, we do know that it is important to own precious metals such as gold and silver, which investors can buy localy, or online, as a hedge against the inflation that will occur. I hope you found this article on the history of the Federal Reserve informative, please feel free to share it, you can use the social buttons at the top of the article to spread the message.